HELL YES. 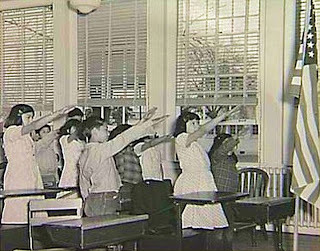 I was just wondering the other day if kids are even learning "The Pledge" any longer. Do they still say it before class? Why do I still remember it? And when I say it now, why does it totally make me want to barf? Oh yeah, it's because it IS backwards. 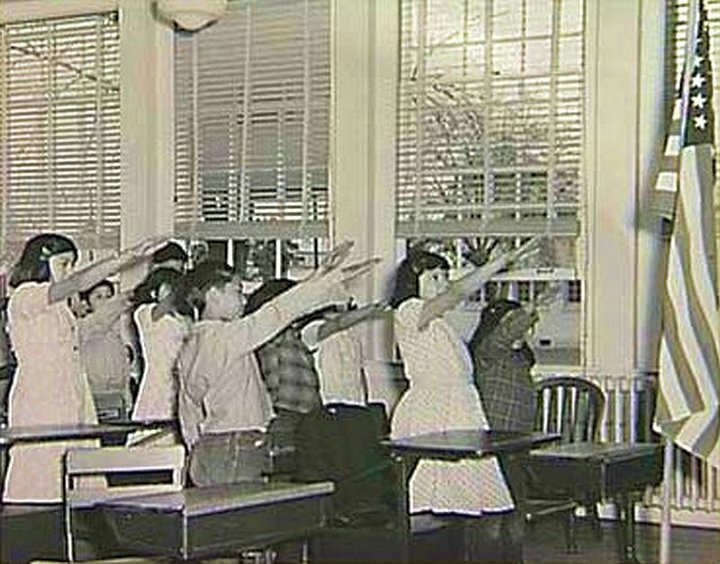 Apparently there are still a few states which require students and teachers to recite the pledge. Thanks, Barrron. I have felt coerced to stand for many years for the anthem; however, I haven't pledged for decades!